The Samsung Galaxy S Advance was announced back in January, and the device has just appeared at the FCC in the US, an it looks like it is headed to US mobile carrier AT&T. As a reminder, the Samsung Galaxy S Advance comes with a 4 inch WVGA Super AMOLED display with a resolution of 480 x 800 pixels and it will come with Android 2.3 Gingerbread. 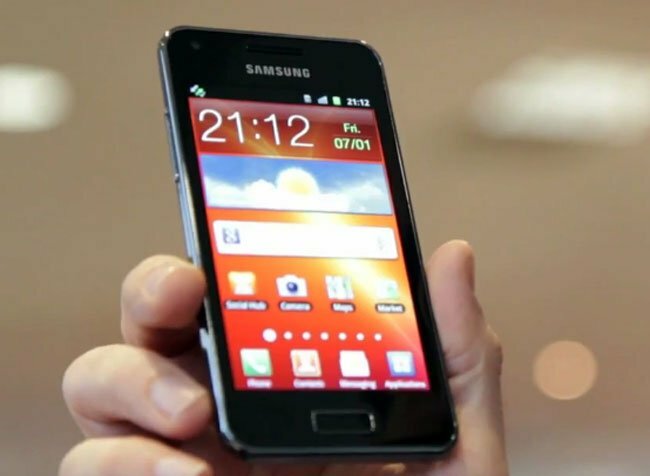 The Samsung Galaxy S Advance also features a dual core 1GHz processor, plus 768MB of RAM, and a front facing 1.3 megapixel camera for video chat, on the back there is a 5 megapixel camera with auto-focus and an LED flash, the rear camera can record HD video in 720p at 30 frames per second. Other specifications include a choice of either 8GB or 16GB of built in storage, plus a microSD card slot which can take up to 32GB cards, there are no details on pricing for the US as yet.